Amongst the many other beautiful features and things to see in Denmark, this one certainly has the potential to beat them all. 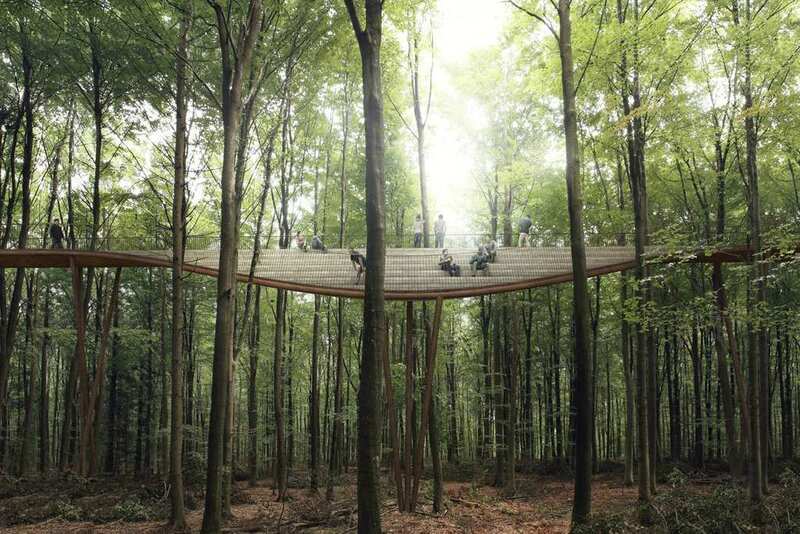 If you ever built a treehouse when you were younger and lived in it day and night, then this is most likely a place you will want to visit. Only one hour south of Copenhagen, in a preserved forest named Gisselfeld Klosters Skove, is one of the most beautiful man-made walkways. 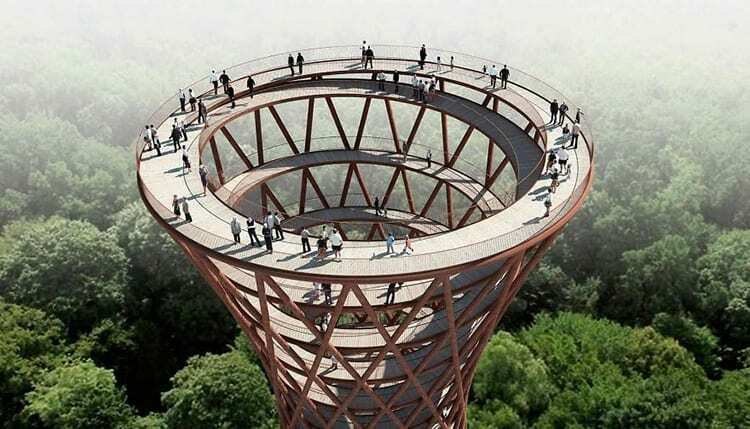 A treetop walkway has been connected to a 148-foot-tall observation tower and the view for explorers is outstanding. 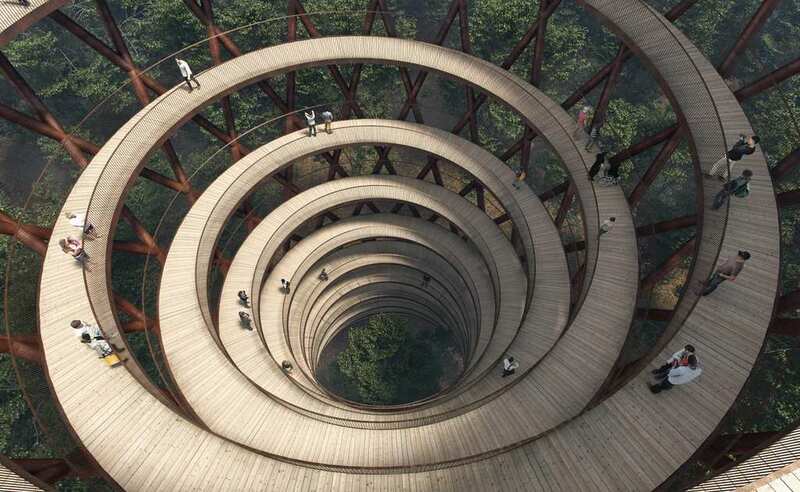 The spiraling walkway passes through trees and forest, split into a high and a low route, allowing a treetop experience like no other. The high route passes through the oldest section of the forest, while the low route and tower are situated in the younger area. Providing you with a birds-eye view, you will feel like a bird walking around. The actual observation tower has a unique look itself too from the outside. It shows off a curved, slender profile in the middle with a larger base and crown, almost like an African bongo drum. The layout allows great stability as well as a larger platform area for people to view from. You can even check out the lakes, creeks, and wetlands from up above. If this is something that interests you, then you have the architecture studio EFFEKT to thank. 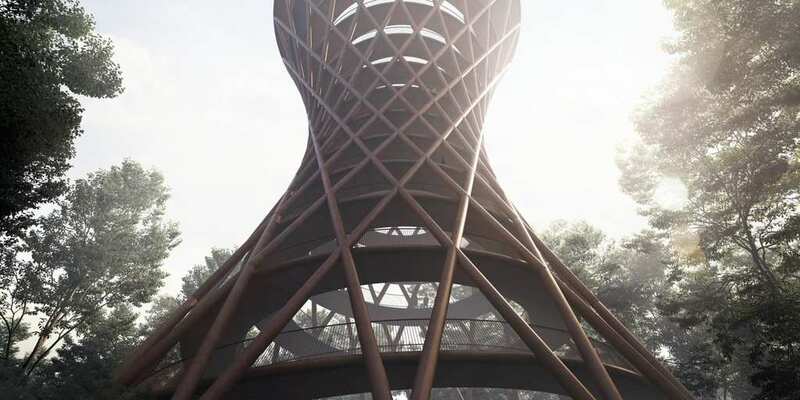 EFFEKT have even noted how dedicated they were to “disturbing the existing surroundings as little as possible.” The 45-meter tall spiral was created as a commission for Camp Adventure, which is a treetop adventure park also located in the forest. So if the walkway is not enough, come and check out the many other activities the adventure park has to offer – from treetop climbing paths to zip lines, you will feel at one with nature.